Canada: About 70% of infants prescribed antibiotics for bronchiolitis have no bacterial coinfection, according to a new study. This is how problem on antimicrobial resistance is assuming monstrous proportion. The study, published in the Journal of Pediatric Infectious Diseases Society found that a quarter of children aged less than 2 years with bronchiolitis visiting emergency departments (EDs) in the U.S. between 2007 and 2015 received antibiotics, even though 70% of those children had no bacterial coinfection. Acute viral bronchiolitis is an important health burden worldwide and the most common lower respiratory tract infection among children <2 years old. Several evidence-based guidelines for bronchiolitis that emphasize the avoidance of unnecessary treatments and investigations have been published. Because children with bronchiolitis have a low risk (<1%) of invasive bacterial infection, guidelines of the American Academy of Pediatrics (AAP), published in 2006 and revised in 2014, recommend against routine antibiotic treatment in children without documented bacterial infection. Furthermore, antibiotic overuse in patients with bronchiolitis contributes to bacterial resistance, health care costs, and the risk of adverse events. To date, no nationally representative analysis of the appropriateness of antibiotic use for bronchiolitis has been conducted, and no assessment of overall antibiotic prescribing beyond 2011 has been made. Brett Burstein, Montreal Children’s Hospital, McGill University Health Centre, Montreal, Quebec, Canada, and colleagues sought to perform a longitudinal evaluation of the proportion of infants diagnosed with bronchiolitis in US EDs who were prescribed antibiotics between 2007 and 2015, after the publication of 2006 AAP practice guidelines. And also, they aimed to assess factors associated with inappropriate antibiotic use and to describe prescribed antibiotic classes. The research team conducted a secondary analysis of data from the National Hospital Ambulatory Medical Care Survey from 2007 to 2015. The survey was conducted at approximately 30,000 ED visits to 300 randomly selected U.S. EDs. 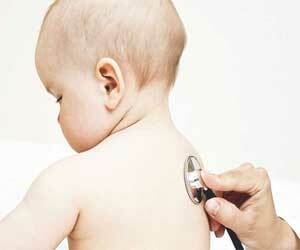 Children aged younger than 2 years with a discharge diagnosis of bronchiolitis were included in the study. The primary outcome was the proportion of children with bronchiolitis who had no concomitant bacterial infection and were prescribed antibiotics in the ED. Six hundred-twelve children (1.1%) met criteria to be included in the study — representing an estimated 2.92 million ED visits for bronchiolitis in children aged younger than 2 years in the U.S. The children had a median age of 8 months. At least one additional diagnosis consistent with bacterial infection was found in 11.9% of the patients, with the most frequent bacterial coinfection being acute otitis media. 25.6% of the patients in the study received antibiotics, which is an estimated 83,000 prescriptions annually. 69.9% of the infants receiving antibiotic treatment did not have a documented concomitant bacterial infection. Penicillin (37.9%) and macrolides (37.7%) were the most commonly prescribed classes of antibiotics.